Fixed Spool Rods There are 82 products. Gunki Street Fishing S has a solid carbon tip which ensures an ultra-fast action with exceptional sensitivity where the tiniest of plucks and knocks can be registered. The action is fantastic for very accurate casting of light rigs and small lures. The tip cushions the force of striking and helps to avoid hook pulls. The new Aria Bottom Vibration is a high-end trout area rod with incredible technological features and unconventional design. This model is rooted to the Airrus Tradition model, best freshwater rod at the 2004 Icast Show. Airrus Stargate. Made of future: 4 years of development for an unprecedented rod. Airrus decided to change the rules again, using a technology currently applied only in military industry: We did it by covering the area of ​​greatest stress with an unique type of carbon fiber. 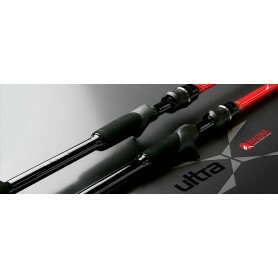 The hugely popular Rockfish rods have undergone a makeover for 2016. Featuring great actions and good quality fittings yet still available at an unbeatable price. Designed to fish miniature lures around the jetties, piers and rocks, targeting the many smaller species that are just fun to catch. The Nories Ecogear Spec Katsu Aji are the ultimate in finesse light game rods. They are equipped with Fuji titanium frame Torzite guides and Fuji blank exposed TVS reel seat. ***FREE UK POSTAGE*** We have very limited numbers of the Japanese engineered Dashu Arts Waterfront lure rods. There are 3 models available to suit the modern lure angler both fresh and salt. All feature Fuji guides, Toray HMG Sensation Carbon and custom reel seat. You even get FREE rod bands! The brand new Herakles Youth Area is going to be a huge hit with UL lure anglers. With a casting weight of 1-3.5g, a striking paint job and featuring quality rings by Sea-Guide it's an absolute bargain! “They fly like butterflies and sting like bees”: lightweight, sensitive and reactive rods. 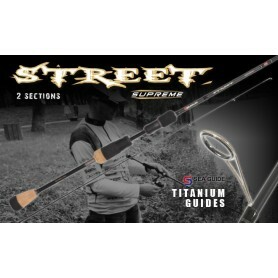 This solid tip rod series in two sections is the Herakles answer to the “super-quality” needs the street-fisher, the rock fisher and trout spin fishing competition fishermen are always in search of. These rods are developed for them. 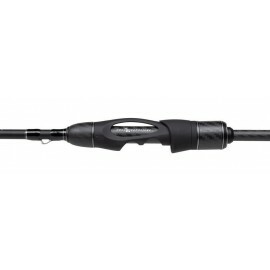 In this rod series you will certainly find the right two pieces rod for you. The actions are expressly designed to suit the most capturing salt & fresh water fishing techniques. The perfect rods for catching trout, chub, perch, black bass, but also to catch catfish, pike, bass, bluefish, barracuda and many other predators. 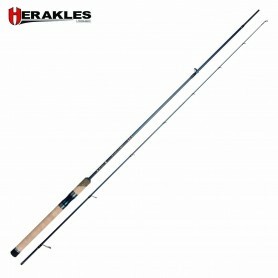 The Trout Area technique is evolving all the time and Herakles is consequently evolving too. Lighter, more sensitive, more balanced and higher performance. 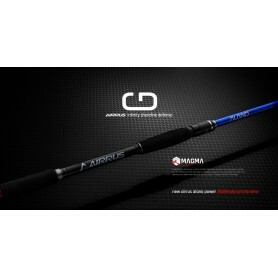 The Genesi rod range has a Japanese styling, made to perfectly suit European anglers needs. The new restyle of the Alano Power series. Our Radial Matrix Blank give to the rod a surprising fighting power and an incredible versatility, allowing the use of all the most common minnows or popper/walking the dog baits. 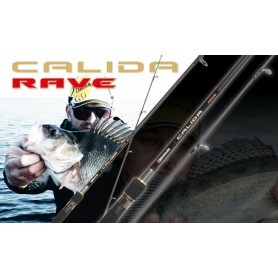 The powerful backbone has a huge reserve of energy able to respond to all the surprises of a fishing day. In 2015, Airrus started developing some prototypes based on a new type of pre-preg with unusual characteristics. The tests showed surprising results in terms of blank lightness , torsional and compression resistance. The efficiency of this new type of material is based on its polyacrylonitrile resin that optimize the carbon fiber features. This top of the range model features a Spiral X blank which is lightweight, yet durable, stable and highly responsive. Making it suitable for various saltwater applications.